Summer is here. 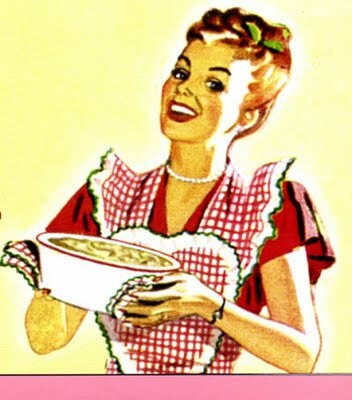 For me that means salad time. I love to eat lighter in the summer whenever possible. I was pressed for time today, with one thing and another happening. Having cut veggies in the fridge and shrimp in the freezer I thought I would have a salad for lunch. This recipe is light and you can add shrimp, scallops, mussels, clams or even any kind of meat that you might have on hand. Just have fun with it. This is my version. Slice 1 red pepper, 1 carrot and 1 cucumber. 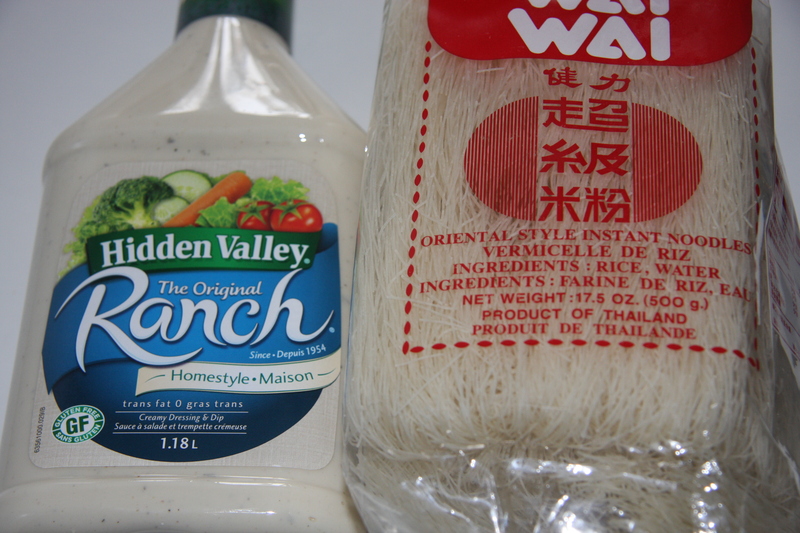 You’ll need vermicelli rice noodles and your favorite dressing. I decided to use ranch. Into a bowl add approximately 3-4 oz. 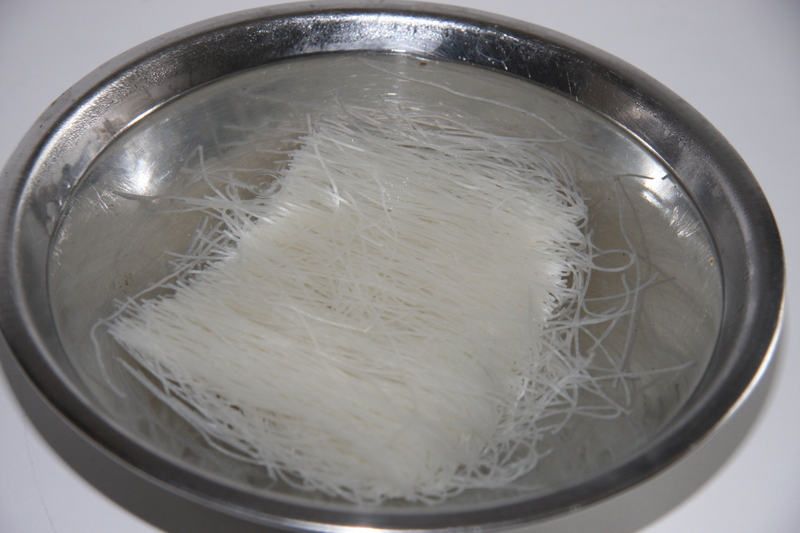 of vermicelli rice noodles. Cover the noodles with boiling water until soft. Drain. Onto a plate start to layer the ingredients. Lettuce, noodles, veggies and shrimp. 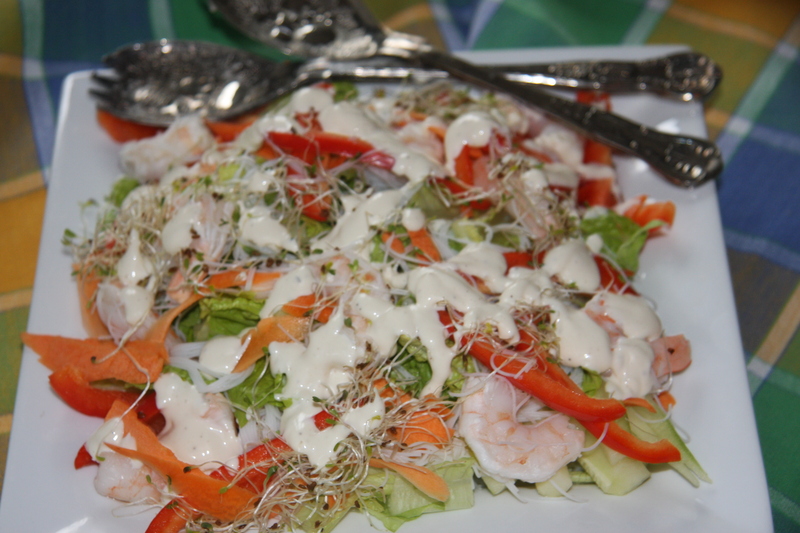 Top with bean sprouts and your favorite salad dressing. Now isn’t that simple? 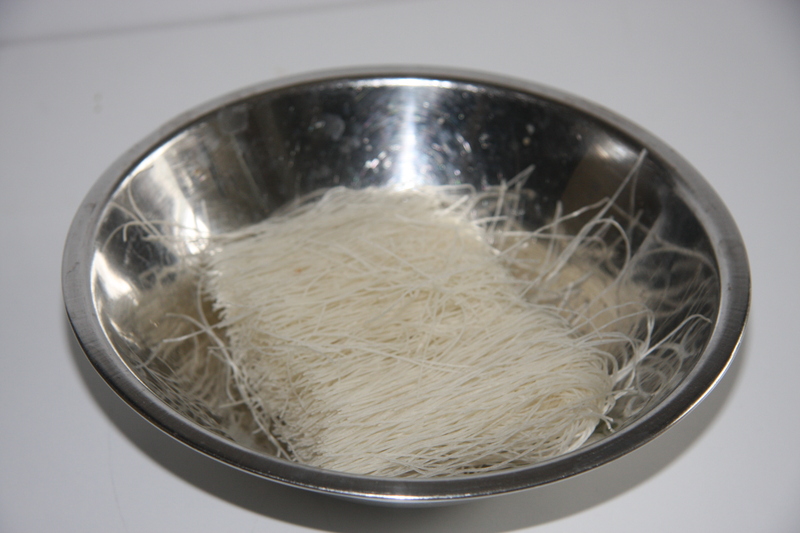 Place rice noodles into a bowl and cover with boiling water, until soft. Drain. 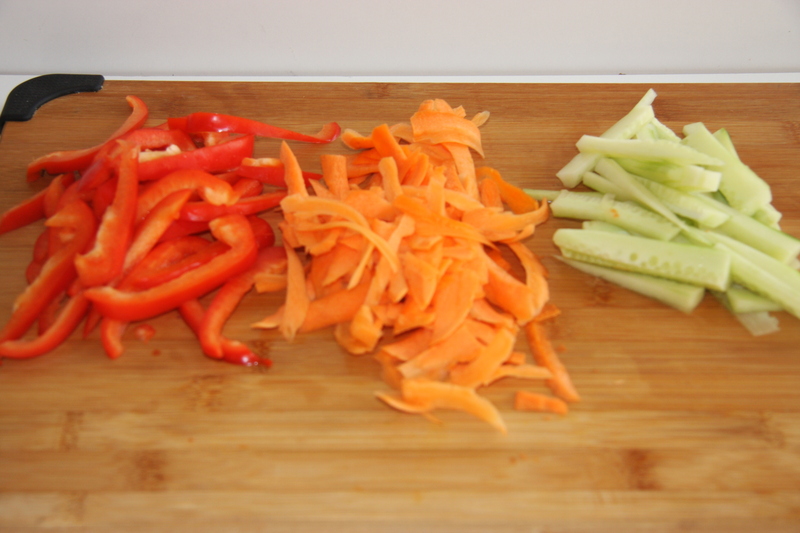 Slice a red pepper, carrot and cucumber into long strips. Chop your favorite lettuce and place onto a serving plate. Now just layer with the veggies and rice noodles. Top with bean sprouts and your favorite dressing. What could be simpler then that? A meal in 10-15 minutes.